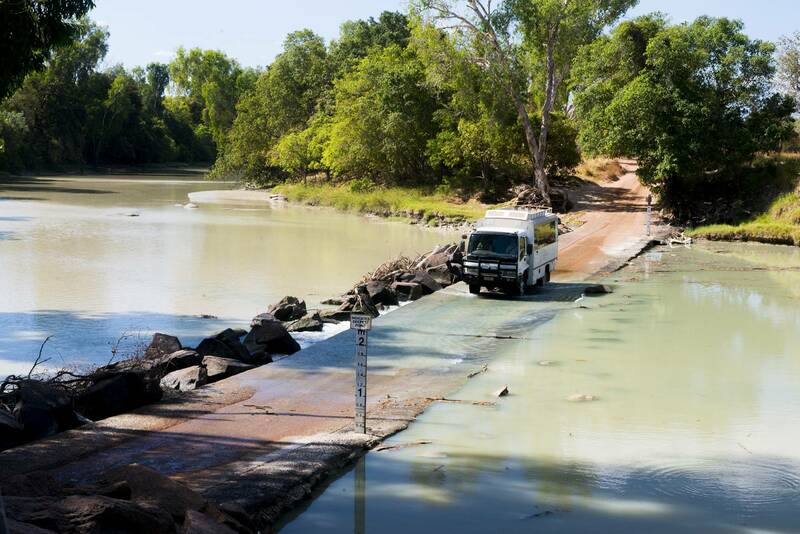 The Arnhem Land Tour is managed and owned by the traditional owners of the clan estate it visits, this Aborginal Cultural and Heritage Arnhemland tour is an exceptional tour into Arnhem Land and Northern Kakadu National Park. 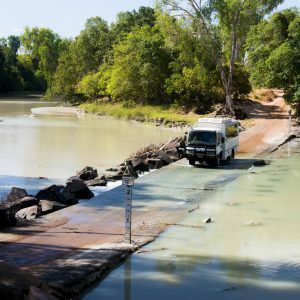 Your experienced guide with take you across Cahills Crossing on the East Alligator River into Arnhem Land, one of the most remote regions of Australia. 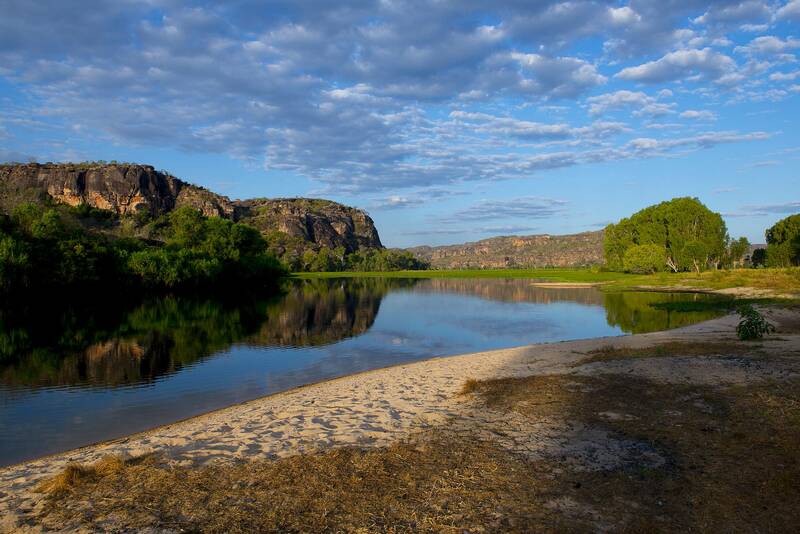 Inaccessible to most, you will visit ancient rock art sites and gain knowledge of traditional land ownership, bush skills, hunting, bush tucker preparation and food gathering. 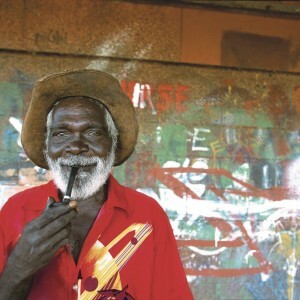 Visit Injalak Arts and Crafts Centre in Oenpelli and meet Aboriginal Artisits. 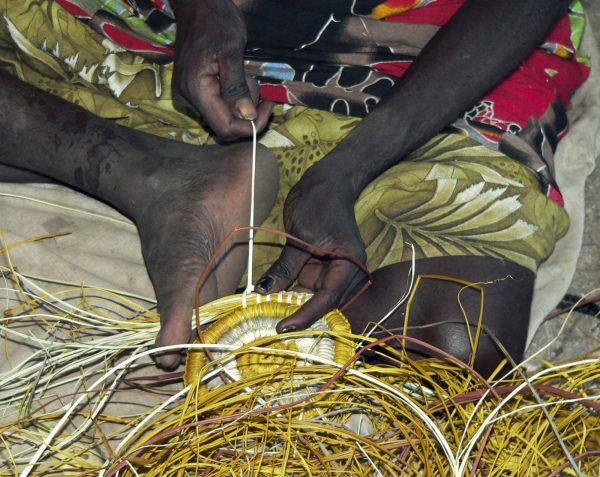 Watch the local artists painting and see the women weaving baskets with pandanus leaves. With special permission from the Manilagarr people, travel into the Mikinj valley with its stunning scenery of billabongs, wildlife and towering escarpment. Stop at Inkiyu Bilabong where you will enjoy a relaxing lunch. Travelling in comfortable 4WDs with forward facing seats, you will experience the region’s world-famous landscapes consisting of sandstone escarpment outcrops, forests, floodplains and billabongs with bird life. 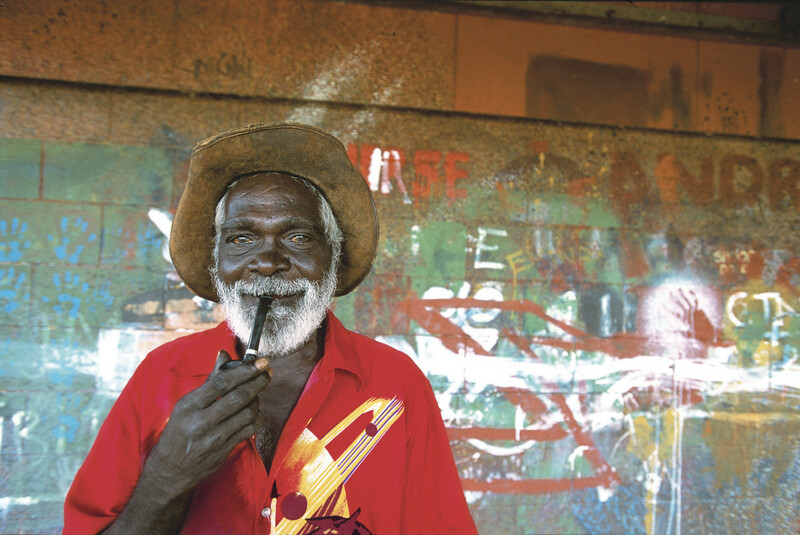 Arnhem Land tour permits, refreshments and lunch are all included in the Arnhem Land tour. 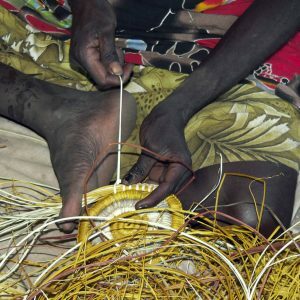 Note: Injalak Arts & Crafts Center is regularly not available on Sundays and public holidays and may be closed for cultural reasons. 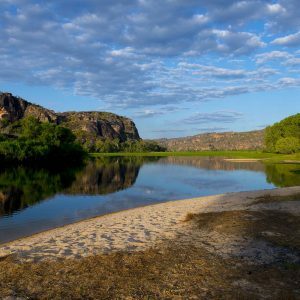 As an alternative the tour will visit the exclusive and spectacular Cannon Hill & Hawk Dreaming region of Northern Kakadu National Park.